United Way HandsOn Savannah honored outstanding volunteers for their generous contributions of time and service to the local community at the 35” Annual Volunteer Recognition and Awards luncheon at Savannah Station. Various community organizations in Bryan, Chatham, Effingham and Liberty counties nominated individuals as a way to say thank you for making a difference to benefit the community. Winners were selected from a field of 55 nominees in each of five categories: Animal Advocacy, Arts & Culture, Education, Environment and Health and Human Services. The winners and the organizations they served are as follows: Animal Advocacy Award winner: Marie Rodriguez, Islands Feral Cat Project ; Arts & Culture Award winner: Les Wilkes, Hospice Savannah; Education Award winner: Sabria Jones, Frank Callen Boys and Girls Club; Environment Award winner: Alan and Sandi Beals, Coastal Georgia Botanical Garden; and Health & Human Services Award winner: Mahogany Bowers, Blessings in Book Bag. 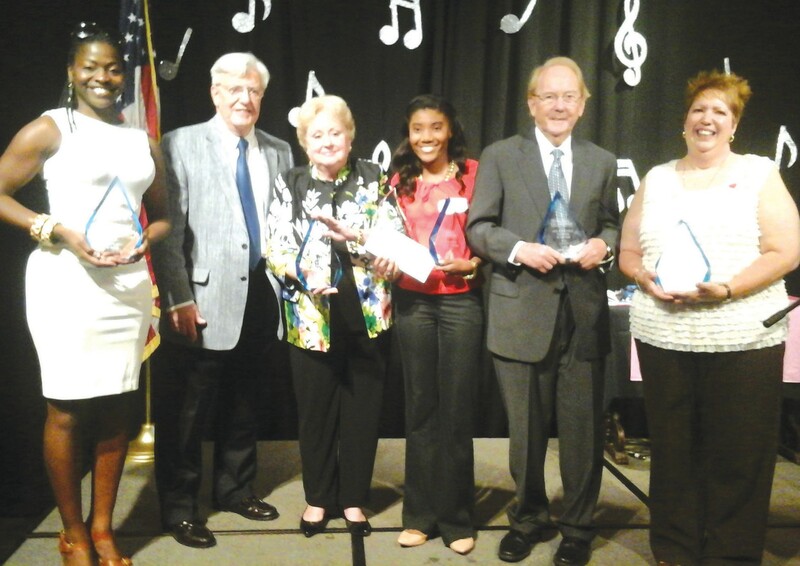 The Herschel V. Jenkins Volunteer of the Year Award, honoring the late Herschel V. Jenkins, a visionary and a community building volunteer who believed in the work of United Way and the importance of giving back to the community, was selected from winners in the above five categories. The award went to Sabria Jones. A monetary prize of $1,000 was awarded to Frank Callen Boys and Girls Club. Sabria Jones was recognized and received the Critz, Inc. $500 Youth Scholarship Award for the outstanding service that she gives to Frank Callen Boys and Girls Club. Special thanks also go out to a panel of community volunteers who took extra time evaluating the nominees. Serving as Volunteer Recognition Awards judges were Lillian Baptiste, City of Savannah; Carliss Bates, City of Savannah; Jenny Gentry, Wells Fargo; Brynn Grant, Savannah Economic Development Authority; Leigh Herald, Chatham County Government; Drew Hunt, Savannah Area Chamber of Commerce; and Jeff O’Connor, First Citizens Bank. The event was made possible by our generous sponsors Critz, Inc. and Gulfstream Aerospace Corporation. Special thanks to United Way Board Chiar Michael Traynor, Destiny Bradshaw, and The Girlfriends (Susan Ambrose, Jamie Kelso, and Sandy McCloud) for making the celebration a great success. For more information please visit www.uwce.org and www.handsonsavannah.org.